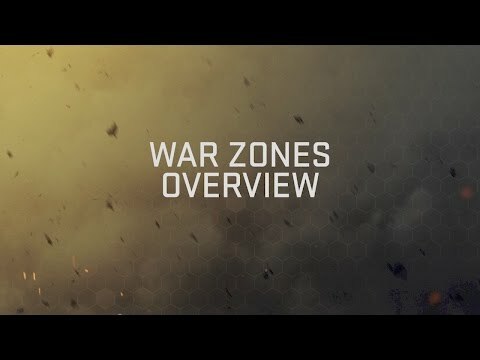 Most of the news and information about Rogue Assault can be found at warcommander.com including strategy guides that answer your commonly asked questions. How can I use airplanes? How do you use the artillery FOB? Why artillary no strong !!!! Why is rogue assault down for maintenance on a Friday.? What is the yellow number beside an Alliance for? Hey so I mistakingly promoted a member too much! Its irreversible on my end! Please tell me you can help Kixeye! Im sure there is proof That I am the real General. That I am thee one who created my Squadron of Bandits. I have players deserving the rank Colonel but that is what I am now. Please, I have an Alliance I must whip into shape, properly!!! With your help, you can rectify this blunder and get my show back on the road!!! You should talk to the individual you passed leadership to and ask them to pass it back. I did, got the same response as talking to a ghost. Can you please address this concern to anyone who can help. Please! I need to keep up my alliance's every growing prestige! I need to be general again! Again I have proof I was! It was a mistake that I mispromoted! Please revert this course! Message me! Or atleast the ..... current..... ....general. Hello Scorpio, what did the individual you passed your alliance off to say when you asked for it back? Nothing! Not a single word. No utterance whatsoever. He's active. And he just plays by himself. Theres no cooperation at all. @KIXEYE I have so many Majors I need to turn it Colonels! When I made that mistake of mispromotion, I had a little amount of members. I now have almost 50! Please let me somehow get my General Rank back! KIXEYE Swag. Can support tell me, why i am banned? I tell a problem that upgrade takes 1.000.000 metall (normal 210.000) now i am banned.. I cant connct to server!! I have pay lot of money, i am at level 31.. Now cant play. Whats wrong.. I can little big english. I have maybe dont understand you! Please answer me..
And this matchmaking crap needs to be fixed..I'm lv37 and I'm being attacked by lv50's as high as 57. 20 lvls above me?!? Been a player for a few moths. Now at level 39 and just managed to accumulate enough metal to get my level 6 HQ. Agree on the excessive difference between my level and attackers. It should at least remain at the players current HQ level. Question: What determines the metal award for defeating another base? Is it the amount of metal stored or are there other contributing factors? Is it a simple percentage? I simply must implore that I get my general rank back. Little did I know theres no rank higher than Colenol. There shouldnt even be an option to promote Colenol! I have proof Im a general! Please reinstate it. It was a swift accident! I have too many Majors and they deserve a higher title. This puppet general is a ghost now, so theres no talking to him. I beg you to invoke this simple edit! I beg of you. Is there anybody... Out there? !